Sales are booming, and your customer base is expanding — your business is growing, but so are your needs. Buyers expect fast and reliable shipment, and your company’s infrastructure and software can’t keep up with the sudden growth. That’s when a 3PL steps in. These versatile intermediaries can save your company from failure and allow it to grow seamlessly and cost-efficiently. But with ever-evolving definitions and services, 3PLs can be hard to define. 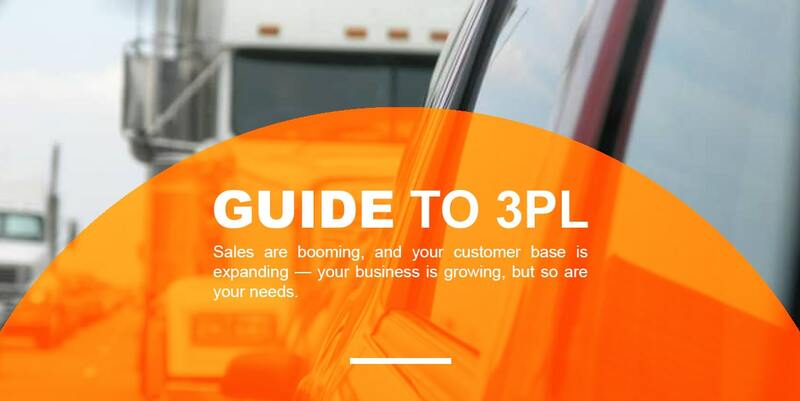 We’ve compiled this guide on everything you need to know about 3PLs — what they are, what benefits they provide and how to find the right one for your business. 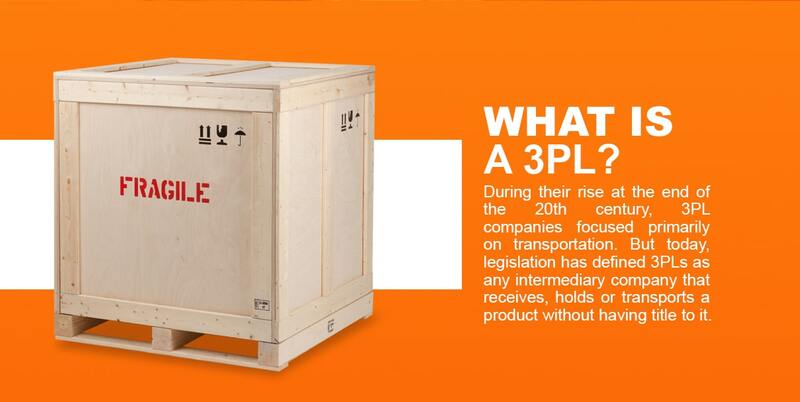 “3PL” stands for third-party logistics, and these providers fulfill an increasingly broad range of needs. During their rise at the end of the 20th century, 3PL companies focused primarily on transportation. But today, legislation has defined 3PLs as any intermediary company that receives, holds or transports a product without having title to it. This is what makes 3PL providers so appealing — they don’t have any ownership of their inventory, but they are legally responsible for performing whatever fulfillment activities your company needs. Third-party logistics businesses are experiencing incredible growth — the 3PL market was worth $802 billion in 2016 and is predicted to pass the $1 trillion mark by 2022. Of all the Fortune 500 companies, 90 percent use a 3PL provider at some point in their supply chain. 3PL providers complete outsourced services along every part of the supply chain, from global transportation and warehousing to financial consultation. 3PL providers mostly fall into one of two different categories — asset-based and non-asset-based. Each one has advantages and disadvantages depending on the needs of your business. 3PLs that are asset-based own many or all of the assets necessary to run a supply chain. These third-party companies possess their own employees, warehouse space and a fleet of trucks or other vehicles. Additionally, they often provide a comprehensive array of logistics services along with freight transportation. The services provided by asset-based 3PLs include customs clearance, shipment arrangements, carrier and rate management and shipment visibility. Examples of asset-based 3PLs include FedEx and UPS. Non-asset 3PLs don’t own the assets to manage a supply chain. Instead, they serve as an intermediary provider between a company and trucking businesses, warehouses and other distribution centers. These 3PLs are dedicated to finding the path through the supply chain with the lowest possible costs for your business. The appeal of non-asset-based 3PL providers is their flexibility. Because they aren’t tied to their own assets, they can find the best solutions for your company’s specific needs. Third-party logistics providers fulfill three primary services — transportation, warehousing and information. A 3PL company could be highly specialized in one area of logistics, or it could be deeply integrated, fulfilling a wide range of logistics services. Transportation 3PLs focus on moving goods between locations — in essence, the shipment of your products. A third-party logistics business could handle the shipment of products between your company’s factories and its warehouses, or even directly between you and your customer. Companies choose to outsource their transportation to a 3PL to streamline their shipping process. An established 3PL has solid industry relationships with companies all along the supply chain, which means they can negotiate for the best prices and ship your products most efficiently. If a 3PL provides warehousing services, they manage the storage and shipment of your products. If a 3PL is asset-based, they will own physical warehouse space — if not, they will work with you to find the best warehousing solutions for your business. With a 3PL that provides warehousing services, you can track each arrival and shipment — you stay constantly up-to-date with the state and location of your products. Many 3PLs use a shared warehousing method, where multiple companies have space in the same storage facility. This creates a shared distribution infrastructure and reduces the energy use and cost of product storage and distribution. Besides saving you the money it takes to run a functioning warehouse, hiring a 3PL provider to manage your warehousing allows you to focus on manufacturing and marketing. This makes it an attractive option for many companies. 3PLs that provide information technology logistics are especially valuable for large, ecommerce-based companies. Financial and information-based 3PLs specialize in all of the financial details of logistics. These providers can give you invaluable expert insight into the current industry and market trends. They generally help businesses maximize the efficiency of their entire logistics network, including aspects like cost accounting and control and freight auditing. Information-based 3PLs can also provide the tools necessary for managing, booking and monitoring every part of your inventory and supply chain. Depending on the type, size and specialty of a 3PL, they can provide invaluable benefits for your business. For small companies experiencing sudden growth, a 3PL provider can help them meet the increased demand of their supply chains. Alternately, for large and established companies, a 3PL can give them more time to focus on development and core initiatives. The biggest appeal of outsourcing to a 3PL is reducing current and future costs. Because a 3PL allows multiple clients to share space, labor and transportation assets, you share the cost of operating a high-quality facility and shipping fleet. This is a cost-effective logistics solution that reduces your company’s operational costs and eliminates the time investment of managing a supply chain. Outsourcing logistics to a 3PL frees up your employees to focus on core business initiatives such as product design and marketing. A 3PL provider allows you to easily expand and optimize your customer market. With a more expansive network of warehouses and distribution centers, a 3PL allows you to reach areas that were previously unavailable. A 3PL helps you establish your company’s presence throughout the country — a broad-reaching 3PL is familiar with the details of local and state laws and regulations, helping you effectively manage your stock in new regions. A 3PL gives your company the ability to ship and promote your products far beyond your current market, which makes them an excellent option for new or small businesses hoping to expand. A 3PL is your company’s key to branching into the international market. Many 3PLs have a global presence — they either own international assets or have industry relationships with overseas businesses. Even more than their physical resources, 3PL providers know the regulations, laws, customs, duties, currencies and challenges of global markets. Their in-depth knowledge and expertise in international business make them an invaluable component of your supply chain — a 3PL can help your company seamlessly expand into larger overseas markets without encountering the international roadblocks that stunt the growth of many companies. A third-party logistics company can provide international expertise, helping you expand your business across the globe. For most businesses, inventory fluctuates depending on seasonal changes, environmental factors and product releases. Hiring a 3PL provider gives you the flexibility to scale warehouse space, labor and transportation to suit the current needs of your company. Depending on your needs, a 3PL can customize its services to fit the state of the market. If you are having a booming season, you can easily increase your storage space and transportation fleet. Alternately, during slow periods, you can reduce the size of your fleet and warehousing without cutting resources. Outsourcing to a 3PL gives companies the peace of mind knowing they can increase or reduce product flow as needed. To be competitive, a third-party logistics provider is constantly improving their services and expanding their resource network. With continuously improving delivery times and increasingly accurate order fulfillment, 3PLs can give your company industry-leading service. 3PLs that specialize in information services will constantly update software, so you can always know you are consulting with experts using state-of-the-art technology. A 3PL provides top-of-the-line resources for your business, helping you stay on top of industry trends and innovations. A 3PL is solely focused on meeting the logistics needs of your company. Whether that means accurate order fulfillment or on-time order delivery, outsourcing to a 3PL provider will increase the satisfaction of your customers. Many 3PLs have real-time management and tracking software that instantly alerts you and them of any delays or roadblocks in your supply chain. Because of their extensive network of resources, they can respond efficiently and rapidly to disruptions or problems, which will reduce the number of unhappy customers. 3PLs are not just attractive options for large, widely successful companies — they can be incredibly beneficial for small start-ups as well. Besides manufacturing costs and labor acquisition, logistics and associated systems can require significant capital investments for a new business. A 3PL can provide expert support for fledgling companies and reduce the costs associated with beginning a business. With a third-party logistics provider, you won’t have to worry about leasing space or hiring a fulfillment team. 3PLs also allow a new company to scale its shipping and storage needs based on market fluctuation, giving them maximum flexibility. Ultimately, the services a 3PL provides depends on your company’s situation — a 3PL will customize solutions to meet the specific needs of your company for warehousing, packaging, assembly and on-site integration. A good 3PL will work with your business to create a supply chain plan that gives you the widest reach and lowest costs. 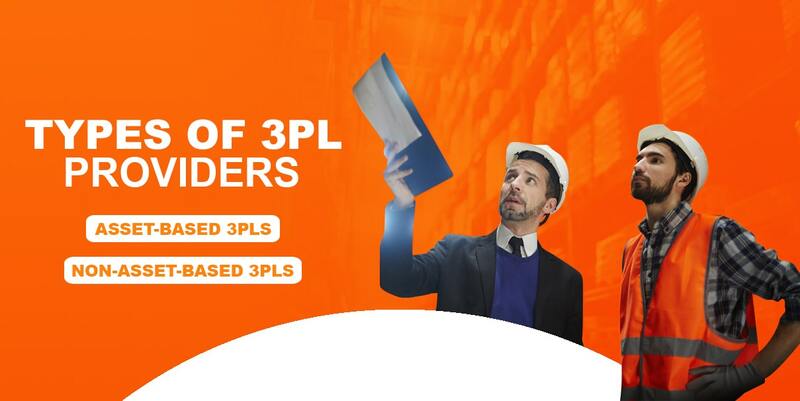 With a deep industry knowledge, 3PLs are experts in logistics and can help you find the perfect solution for your company’s unique product, distribution and technological needs. When Should You Choose a 3PL? Your storage expenses are high or not big enough: When your business begins to outgrow its storage facilities, it would be beneficial to outsource warehousing to a 3PL. 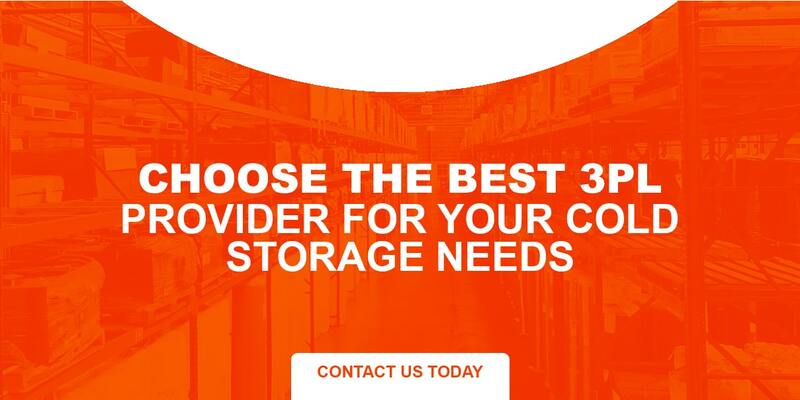 Get a quote from a 3PL provider and compare with your current storage costs — more likely than not, the 3PL will offer lower prices. Your business is expanding or about to experience sudden growth: If your business is experiencing steady or sudden growth, act preventatively and hire a 3PL provider. This will ensure you don’t get overwhelmed by a spike in orders — if you are unable to meet increased client demands, you will lose customers and revenue. You have uneven or cyclical sales: If your company’s sales fluctuate throughout the year, it might be a cost-effective solution to outsource warehousing to a 3PL. A logistics provider can adapt to your specific needs every season, making sure you never spend more than you have to. Outsource early, before your business is overwhelmed by its own growth. A 3PL can help you satisfy the needs of a growing customer base and can help you efficiently and cost-effectively adapt to new demands. Choosing a third-party logistics provider can be confusing. There are many options, and it can be difficult to decide which one would best meet the needs of your company. It can also be hard to trust a third party with your inventory, costs and sales data, along with handing over the management of your supply chain. Check their track record: Does the 3PL have at least two years of financial stability? This is a quick way to determine whether they will stay stable through market fluctuations or unexpected supply chain disruptions. Ask about their technology: What is their level of software or technological sophistication? You want to partner with a 3PL that will be fast to adapt to a changing industry as well as provide competitive, top-of-the-line technology. Determine their flexibility: Can the 3PL adjust depending on seasonal fluctuation or your company’s growth? Look for a third-party logistics provider that will easily scale up or down based on your company’s needs. Check their customization capabilities: Will the 3PL work with you to find the logistics solution that best meets the needs of your company? Look for a 3PL partner that will customize their services to the changing needs and requirements of your company’s supply chain. Look at their resource network: Does the 3PL have a network that matches the goals of your company? If you are looking to branch into different markets, look for a 3PL that has the resources to help you reach your goals for growth and expansion. Ask for customer references: Can the 3PL produce strong customer references? The experience of other companies with the 3PL can help you determine whether they will be the best fit for your company. Also, check if the 3PL has experience working with other customers in your specific industry. With these tips in mind, consider a few 3PL companies and compare them to make sure you are finding the best logistics partner for your business. A 3PL can be a lifeline for your business, allowing you to simultaneously reduce costs and expand your market. At Central Florida Freezer, we provide industry-leading cold food storage to our customers. We guarantee trust, accessibility and total environment control of your inventory, and provide competitive pricing and superior service. Our record is exceptional — 99.99 percent of our shipments are delivered on-time, and we offer leading technology and scalable warehousing. Central Florida Freezer is reliable, dependable and dedicated to the success of your company — request a quote or contact us today to learn more.